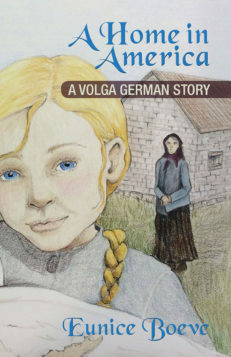 Travel back in time with fourth grade twins, Jack and Mollie, in this illustrated chapter book and meet those who are now part of Kansas history. Echoes of Kansas Past: A Travel Through Time is also available through Amazon and BN or ask for it wherever books are sold. The ebook version of this book can be ordered through Amazon. Grandpa Andrews says to know how another person feels, you have to walk a mile in his moccasins,” Jack said. “And the time machine will let people do that, Mollie said. Jack and Mollie accidentally activate their parent’s time machine and find themselves whirled back into Kansas’ past where they witness their state’s history in the making. 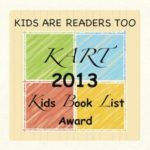 Travel back in time with fourth grade twins, Jack and Mollie, in this illustrated chapter book and meet those who are now part of Kansas history. Go with the twins as they travel through time and find themselves walking in the moccasins of others. 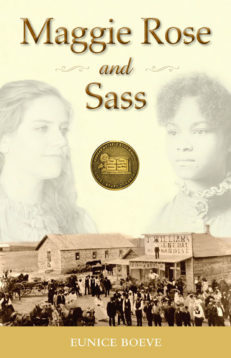 Among their experiences: living as Kanza Indians in 1620, riding an orphan train where new parents await the children, hiding with other scared runaway slaves in a dark cellar and meeting Abraham Lincoln, witnessing discrimination as first grade classmates of Langston Hughes in a non-integrated school, arriving at Fort Riley where they meet Comanche, the famous horse of the Battle of the Little Big Horn, again becoming Indian children in the harsh early days of the Haskell University, and attending a dance where they hear the first ever rendition of the state song, Home on the Range. Wow! I so enjoyed this book by Eunice Boeve. What an adventure! 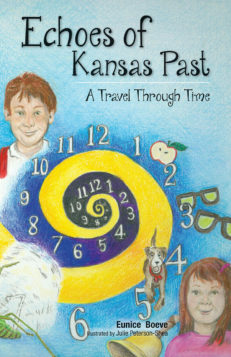 I was not excited about a time travel book set only in Kansas through the eyes of a young girl and her brother. I should have known it would grab my interest through the characterizations and the actualization of the past so common to Boeve’s works. Each time the siblings land in a different time and reality, the people of that place and time come to life for them and the reader. The tension in segments where they are delayed and might miss their ride is palpable. I have never read a Boeve book I didn’t like, but I think this may be my all time favorite of her young adult books. I simply did not want to put it down. I learned about Kansas history by being dragged into the reality of each time and character. It simply doesn’t get better than that. When my mother was a child, she gathered ‘weeds’ for Indian John. We still put flowers on his grave every Memorial Day. This is a fantastic book that leads you on an adventure through Kansas history. The part that is so awesome is that it keeps your attention. I have lived in Kansas all my life and I learned a lot that I didn’t know. This book should be required reading for all students in Kansas schools. Boeve’s characterizations and realization of historical times and events just do not get better than this! Wow! I so enjoyed this book by Eunice Boeve. What an adventure! 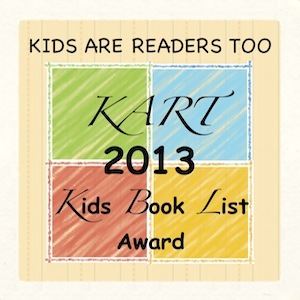 I was not excited about a time travel book set only in Kansas through the eyes of a young girl and her brother. I should have known it would grab my interest through the characterizations and the actualization of the past so common to Boeve’s works. Each time the siblings land in a different time and reality, the people of that place and time come to life for them and the reader. The tension in segments where they are delayed and might miss their ride is palpable. I have never read a Boeve book I didn’t like, but I think this may be my all time favorite of her young adult books. I simply did not want to put it down. I learned about Kansas history by being dragged into the reality of each time and character. It simply doesn’t get better than that. Echoes of Kansas Past is a must read for anyone with any ties to Kansas. I have lived here my whole life and learned countless things as Jack and Mollie travel throughout Kansas. This should be a must read for all children in school. Eunice’s ability to bring the past to life makes this book stand out from any other book that tries to explain the past. My father was Dave Strait. I was a just a boy, but I vividly remember the POWs arriving by rail car, the camp, and Walter coming to our house for dinner. My grandfather, who spoke German, worked at that POW camp and made several life-long friends among the prisoners. I have a carving of a small wooden dog one of them made for my grandfather. I wonder if it’s a carving of Mary Sunshine. 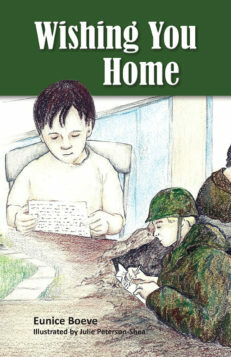 I am sending the book to my granddaughter in England. My brother, Dayton, and I like the chapter “Ancient Bones” best because Grandpa and Grandma own that land. I love to go there and hunt for fossils and think about how it once looked. 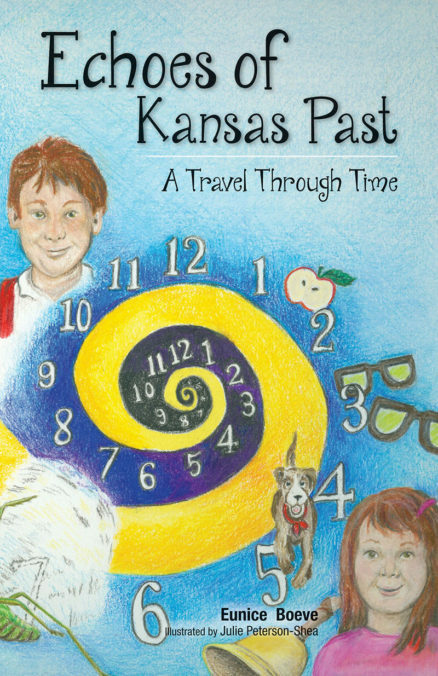 Jack and Mollie’s adventures across Kansas history through their time machine will enrapture young readers as they read about many places and faces from the Sunflower State’s past. Editorial Review – When it comes to formulating adventure, it’s hard to imagine anything more compelling than a time machine. That’s exactly the thrill that envelops fourth grade twins, Jack and Mollie, in this illustrated chapter book. 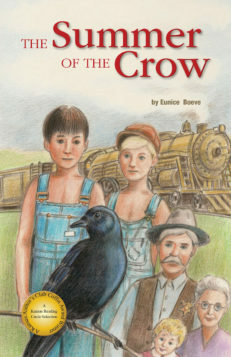 An excellent way to introduce Kansas’ rich history to young readers. 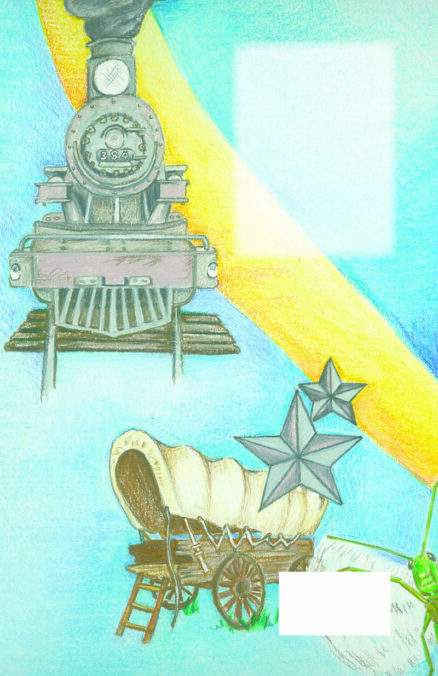 Echoes of Kansas Past would be an ideal gift for the young reader in your family.